Howard Center is a rehabilitation center that offers treatment services to children, youth, adults, and families for substance abuse, mental health issues, and dual-diagnosis disorders. The mission of Howard Center is to improve the lives and well-being of children, adolescents, and adults suffering from mental health issues and addiction through compassionate and dedicated services. The center’s core values include dedication, compassion, honesty, integrity, accountability, and mutual respect. Through its vast set-up and wide array of services, the center is able to help more than 16,000 individuals each year. It offers a number of mental health services as well as substance use and recovery services. Clients are offered counseling and educational programs through which they are able to reclaim and restart their lives with a new determination, sheer resilience, and increased motivation for abstinence. Howard Center also offers developmental services to children, adults, and families with a developmental disability. They are offered services through which they are able to get involved in the community, build social skills, and live independently by securing good jobs. The center offers outpatient and intensive outpatient services to individuals of all ages in different age-specific programs. Therapies involved in treatment include individual and group counseling, case management, family therapy, wellness recovery, and support. Howard Center is located at 60 different locations across six counties in Vermont. 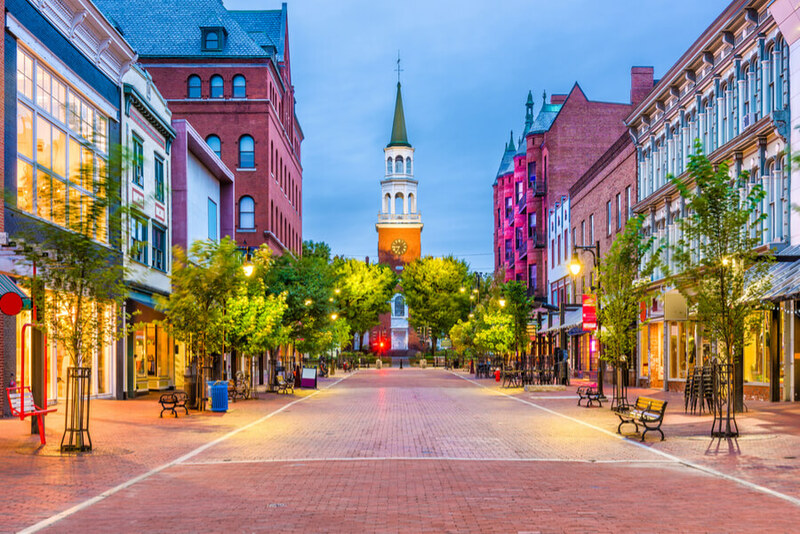 The campus at Burlington, Vermont is located in a beautifully built spacious building. The building has an exterior brick architecture with modern interiors and furnishings. It comprises various rooms and areas designated for individual and group therapy, counseling, and other therapies. The center only offers outpatient and intensive outpatient services; therefore, there are no residential facilities or accommodations available for clients. However, the clients who come for outpatient treatment are provided with a modern, comfortable, and relaxing experience. There are common rooms and waiting rooms provided for clients where they can watch TV and socialize with each other. The common rooms are comfortably furnished to make all clients feel relaxed and at ease. The outside courtyards and lawns provide clients with a peaceful and tranquil environment where they can contemplate and indulge in meditation. There is an on-site cafeteria inside the building where a variety of food items are served. A team of kitchen staff runs the cafeteria and prepares fresh and healthy snacks for clients, families, and staff members. A number of food items including fruits, salads, burgers, sandwiches, and other options are served along with a number of non-alcoholic drinks and juices. Howard Center was built in 1865 as an organization that served the widows and orphans of the civil war. For the next 150 years, it continued to expand the types of services it offered as well as the number of patients it could intake. Presently, it offers a wide range of mental health, behavioral, substance abuse, and developmental services to children, youth, adults, and families. It is able to help thousands of individuals and families each year by providing them with progressive, compassionate, high-quality care and treatment. The center offers outpatient and intensive outpatient treatment services to clients in a safe, private, and secure environment. Each client is treated with respect and dignity throughout the treatment process so that they are able to achieve a life of sobriety and independence. Through innovative and progressive therapies and holistic approaches to treatment, clients are able to improve their lives and contribute to the community. Bob joined the Howard Center as Director of Mental Health and Substance Abuse Services before being promoted to the Chief Executive Officer. He has served on various prestigious positions including Executive Director of Champlain Drug and Alcohol Services and other clinical and program leadership positions with adult and adolescent outpatient and residential programs. Catherine joined the Howard Center more than 20 years ago and served on various designations as a licensed clinical social worker. As the chief client services officer, she oversees all client services of the center. Sandra has been working at the Howard Center for over 23 years. She specializes in treating patients of schizophrenia, psychosis, and other psychotic illnesses. She also serves as the Clinical Associate Professor of Psychiatry at the University of Vermont College of Medicine.